Several changes were made to the Form I-9 to help reduce technical errors. The U.S. 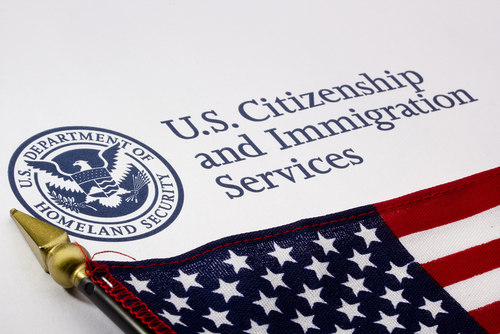 Citizenship and Immigration Services (USCIS) published a revised version of Form I-9, Employment Eligibility Verification (rev. 11/14/2016 N). By January 22, 2017, employers must use only this new version. Until then, they can continue to use either the version dated 03/08/2013 N or the new version. In addition, the instructions for completing the Form I-9 are now separate from the form and include specific instructions for completing each field. According to the USCIS, the revised Form I-9 is easier to complete on a computer. Enhancements include drop-down lists and calendars for filling in dates, on-screen instructions for each field, easy access to the full instructions and an option to clear the form and start over. When the employer prints the completed form, a quick response (QR) code is automatically generated, which can be read by most QR readers. CalChamber has added the new Form I-9 English and Spanish version to their website for free along with the Instructions for Form I-9 and the Form I-9 Supplement. CalChamber members can read more on I-9 Form: Verifying Eligibility in the HR Library. Not a member? See how HRCalifornia can help you.